A veterinary practice management software (PMS) helps veterinarians with many different functions relating to their practice. 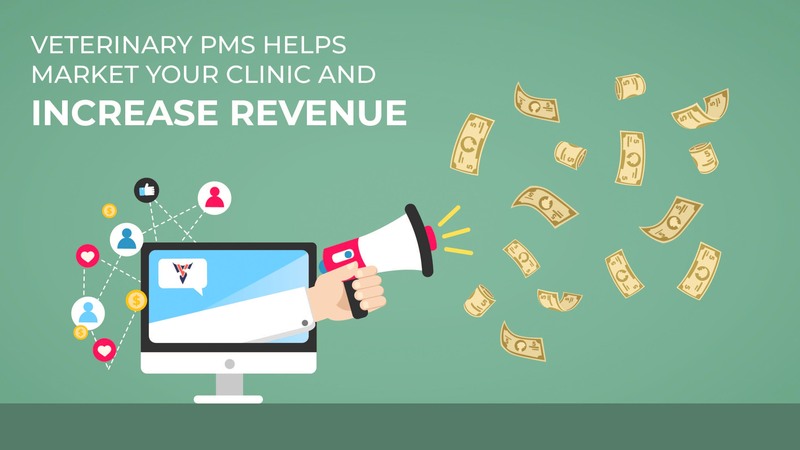 In addition to streamlining and enabling smooth operations, such solutions also help keep track of your clinic’s performance, reach out to potential clients, and improve customer loyalty through various marketing initiatives; all of which contribute to improved revenues. Here are different ways in which you could employ veterinary computer programs to gain competitive advantage and gain better ROI. In the age of the internet of things, nothing can boost the reputation of your clinic more than a credible online presence. A simple, easy to navigate, and easy to understand website would probably fetch you more clients than the advertisement you place in a magazine or a newspaper column. People increasingly look for reviews before they approach any practice, and a website is a great place to get your clients to testify for you. The VETport marketplace offers VETport websites, an in-house integration that lets you create stunning websites with ease. With multiple layout choices and options to customize the menu and other content displayed under different tabs, this integration saves a humongous amount of time, effort, and money that could otherwise be spent in building a good web presence. Equally important are listing your clinic or hospital on Google and creating pages on social media. The task does not end here – once you have the website and social media accounts up and running, you need to post engaging content from time to and monitor reviews to ensure that you build a credible reputation. Remember those promotional emails that keep popping up in your inbox from time to time? Some of them announce the arrival of a new product or service, while others invite you to save big with discount sales. Well, such emailers are a great way not just for products or service companies, but also for veterinary practices as they help you engage with your clients beyond consultation or examination. You could use email marketing to announce seasonal discounts, the introduction of new services etc. You could also employ the tool to collect feedback on your clinic’s performance and to know what makes clients happy (or unhappy) about your practice or service. VETport’s practice management software collects clients’ email IDs when they register and uses this information to help you create and run email marketing campaigns. This feature allows you to send not just promotional emails but also newsletters that carry clinic news, pet health tips, links to blogs and veterinary news, and so on. Clients are the backbone of any veterinary practice, not just new ones, but also those who visit your practice repeatedly. Such long-standing relationships help build trust, goodwill, and a positive reputation for your practice in the community or area that you are located in. Referrals are an integral part of any veterinary practice and a marketing initiative that helps you grow your business and earn more revenue. As a clinic, you may give referrals to or receive referrals from other clinics, pet owners ‘groups, partner businesses, pet trainers, and so on. Irrespective of the source of referral, a good clinic always incentivizes the referee; an action that contributes to the growth of your practice and in turn, earnings. VETport understands how crucial referrals are to business and hence includes in its Marketing Dashboard, reports on referrals received and given. The tool gives you insights about the contributor(s) that give you the most referrals or revenue so that you can reward their gesture appropriately. Isn’t it special to receive wishes on occasions such as birthdays, anniversaries, and so on? 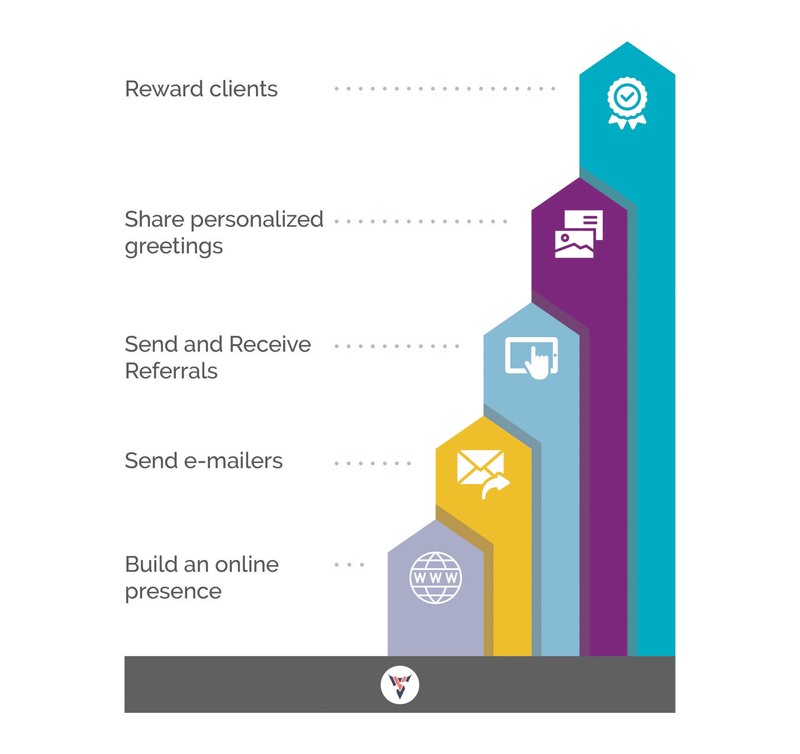 Like emailers, personalized greetings help you connect with your clients better, and make them feel cared for. VETport’s veterinary practice software lets you create customized postcards, which can be shared with your clients on occasions such as pet birthdays, client birthdays, Christmas, and the like; a gesture that tell them you’re not just a great veterinarian but also a good companion. Clients are the backbone of any veterinary practice, not just new ones, but also those who visit your practice repeatedly. Such long-standing relationships help build trust, goodwill, and a positive reputation for your practice in the community or area that you are located in. VETport, through its reports and statistics, helps you identify top paying clients, as well as ones who visit you repeatedly for any need their pet may have. The practice management software also lets you reward such clients through Customer Loyalty Programs, which enable cashback rewards or discounts to be applied to subsequent visits.